One of the more advanced aspects of goalkeeping comes in a player’s ability to be aware of their surroundings at all times. This can be as complex as the tactical scenarios they or their teammates are facing, the location of opponents on a corner kick, setting up a wall to defend a free kick, and even distribution when countering. 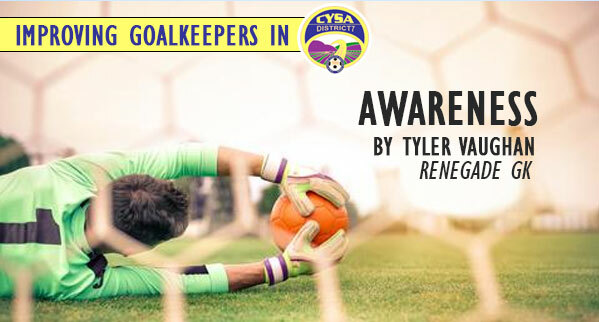 No matter what the situation a keeper’s awareness can make or break their decision making. Keep your head on a swivel, see the entire pitch, and to make your life even easier, communicate what you see to others on your team. As the quarterback of the field you have the distinct advantage of perspective, never forget the fact that keepers can see the entire pitch and therefore should use this to their advantage when instructing the players in front of you!